A number of you have raved about this Suki Exfoliating Foaming Cleanser with organic lemongrass & natural sugar and I have to concur. I’ve tried a sample of it sometime ago and love it! In fact, this cleanser has a 4.1 out of 5 ratings over at Makeupalley by 121 users. 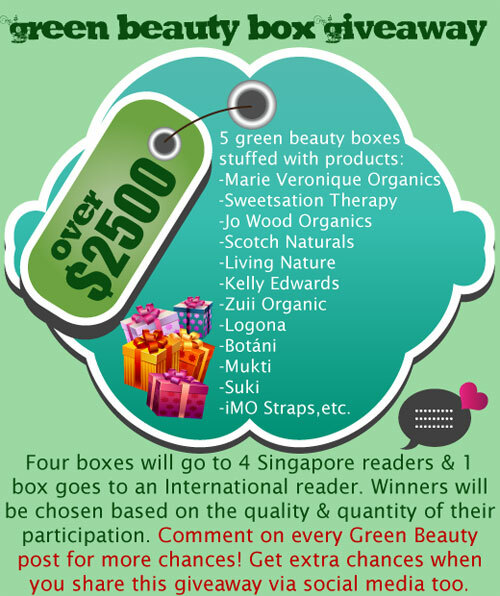 So good news for those participating in the VivaBella Green Beauty Box Giveaway because besides the other load of goodies, five of these valued at S$125 have been sponsored by Pure Tincture to be included into the box. The Suki Exfoliating Foaming Cleanser is an award-winning, 100% deep cleansing natural AHA rejuvenator that unclogs pores, exfoliates dead skin cells, and smoothes away dryness, lines & wrinkles. This product is vegan and here is the full ingredient list: sucrose (sugar), potassium cocoate, oryza sativa (rice) powder, cymbopogon flesuosus (lemongrass) oil, calendula officinalis (calendula) flower extract, lavendula angustifolia (lavender) flower extract, chamomilla recutita (matricaria) extract & squalene, citrus aurantifolia dulcis (orange) peel extract, ascophyllum nodosum (seaweed) extract, *aroma/fragrance, limonene, linalool, geraniol *component of 100% pure essential oils). Pure Tincture is no stranger to Viva Woman as the company has sponsored a number of products for review in the past. Since 2005, Pure Tincture has been distributing premier natural and organic skin care products in Singapore. And besides Suki, Pure Tincture distributes Madara Eco-Cosmetics, Pure Lochside, Balm Balm, Stem Organics, Santaverde, Snowberry, and The Soap & Paper Factory. 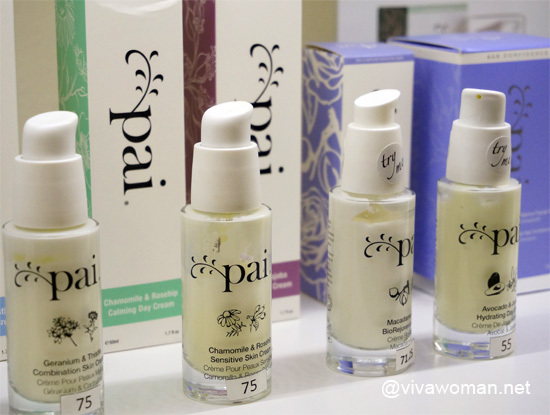 The company also pledged to bring in seasonal unique organic skin care to add a touch of surprise and fun for their customers. You may like to know that Pure Tincture supports the green initiative via usage of recyclable materials, as well as support fair trade and smaller brands. The company is also against animal testing and most recently, they contributed 2% of their October sales to Animal Concerns Research & Education Society. Although based out of Singapore, Pure Tincture ships internationally. If you want to win one of these Suki Exfoliating Foaming Cleanser plus the other Green Beauty Box goodies, go check out Pure Tincture and be a fan of their Facebook page too. Then come back here to let me know which of their products caught your eye enough for you to want to part with your money. If you’ve purchased from Pure Tincture, do share with us how your experience was like or what did you purchase. There’s a good reason to be a fan on their Facebook page because from now till end December 2011, new customers who like Pure Tincture’s Facebook Page will get $10 off their purchase with a minimum $50 purchase. So go ‘Like’ them already! I would like to try out Santaverde Light Aloe Vera Cream as I have sensitive and rosacea skin. A light moisturiser is definitely for me. I hope it will make a perfect base for make-up and help to soothe and take the redness out of my cheeks after exposure to the sun. I had liked their facebook page & retweet your tweet for this giveaway. Currently I’m looking into products with brightening properties after the “summer” season. I’m trying out Biotherm White D-Tox Intense Brightening Cream which I received as a gift set after answering their survey, but it made my skin peel quite badly on the temples and nose. This is not the first time it happened to me but I’m quite disappointed as I’ve tried various whitening products and wasted those money just because my skin cannot tolerate the strength of the products. I’m not eliminating whitening products out of my list yet, as I believe that I haven’t found the product that is suitable for me. The product I would like to try would be the Suki Targeted Bio-Brightening Face Serum, which is made up of mostly soothing ingredients and it also address my acne problem as it contains white willow bark extract. Although the price tag is hefty at 150SGD, it’s almost triple the cost per ml compared to kiehl’s midnight recovery concentrate that I’m using. I’m willing to shell out the money to pay for the serum and use it up within the 12months rather than being left with half the serum after 12 months of usage (which I’m facing this problems with my kiehl’s serum). I’ve liked their FB page and retweeted your tweet for this giveaway. The product that caught my eye is Balm Balm Fragrance Free Face Balm as not only can I use it for myself, I can also share with my son. Especially after my son swimming lesson, I can apply this face balm not only on his face and all over his body to keep him moisturised after his lesson. This is good as he does not like things that is fragrance. I am currently looking for a serum, so I checked out Pure Tincture’s range. I’m quite put off with the price (I’ve never used serum and to spend on a bomb on something I’ve never tried before is rather difficult). I proceed to browse the website to see if there’s anything that pique my interest and I found Ecoperfume. I’ve always been looking for a natural perfume to replace my Burberry perfume. When reading about it, I was quite happy to see that phthalates, paraben and other additives are not added. But I’m not very convinced with the word ‘fragrance’ and thought I’ll give it a pass. After browsing through more products, I finally found something that I would buy: Suki Tinted Active Moisturiser SPF 15. I am very impressed with the quality ingredients used such as organic grapeseed oil, shea butter and fragrance made from pure steam-distilled essential oil! It’s also helps that it bagged an award and is at the moment sold out. As I don’t like to put on makeup, I really like that this product is tinted, moisturizes the face and has SPF. Santaverde’s a label I’ve not seen in Germany before and I’d like to try the Santaverde Aloe Vera Blossom Nectar Ampoules (http://www.puretincture.com/promotion/on-sales?page=shop.product_details&flypage=flypage.tpl&product_id=260&category_id=46). Now I’ve had aloe vera plants before but none of them ever blossomed. Aloe vera blossom’s an ingredient I’ve not spotted in any of my current and past skincare products. Also, I rather fancy how it comes in an ampoule form and to be used like how pricey ampoules are used in facial salons, along with the Made in Germany assurance. Did you watch the news tonight? Zinc Oxide in cosmetics may lead to cancer. Those nanoparticles. Help? I commented about it on my Facebook page. It’s nothing alarming and they said it’s preliminary. Anyway, avoid nano zinc oxide if you’re worried. Plenty of choices out there. Whoa, where to start? This is the first time I have ever visited Pure Tincture and I was blown away by the immense range of organic products available. I have to be honest, I’m not exactly part of the “ALL NATURAL BEAUTY PRODUCTS!! !” cheerleading crowd, but this website has my full attention. 1) suki’s Tinted Active Moisturizer: I have never used tinted moisturizer before but I think it would be great for me to start because it seems like a quick, effortless and yet effective way to get a near-flawless complexion while reaping a few skincare benefits as well (an all-in-one deal, what’s not to love?). 2) 100% Pure Fruit Pigmented Lip Glaze Watermelon: My lips tend to get quite chapped AND I’m in danger of looking like the walking undead if I let my pucker go sans colour (why, oh WHY do I not possess a kisser of God-given scarlet!?). This product seems to promise to get the lip-nourishing job done, and this Watermelon shade is so cute! 3) Vive Sana Solar to Polar Ultra SPF 40: First of all, its sassy name is enough to make me want to own a tube (call me easily amused, but “Solar to Polar”? Such ingenuity). Wordplay fetish aside, I’ve recently learned about the importance of using sunscreen on a daily basis, especially from a young age. And with the unmentionably excruciating sun-drenched weather here in Singapore? This is a must-have. 4) MADARA EYES Firming Eye Contouring Gel: I’m only in my early 20s but I’m already starting to feel paranoid about the condition of the skin around my peepers (*sobs*). This is probably just skimming the surface. The products on the website look awesome. I’m so glad I came across this post. I just finished my natural body butter last week and thought to get a natural option again. Madara Body Nourishing Cream caught my eyes and the price is affordable. Concerning the international shipping fee, I think the purchase would be well-worth for bigger amount order only. I have also read the reviews of Suki Exfoliating Foaming Cleanser in MUA and learnt Pure Tincture more from their website, blog and FB page. The founder is very passionate about natural and I love the Christmas Cherry Picks (“v) most. I will part my money for suki Pure facial moisture – balancing. The word reprogramming of our skin caught my eyes. Hydration should be the most important part of our skincare routine before firming and brightening. Having a well hydrated skin, will actually prevent our complexion from looking dull and patchy. But too much of it, will cause clog. So the word is balance! thanks for the “to get $10 off purchase” on facebook tip! I’ve yet to go down to their store at raffles place. Their prices can be a lil steep for me. But oh well with quality comes a high price. I quite like their Balm Balm Hibiscus Face Mask. Brown rice, hibiscus and rose geranium for a very nice exfoliating treat which helps to deep cleanse the skin. Would be great if I could try that! and it’s not too pricey too. The Pure Lochside Organic Orange Cleansing Oil looks so tempting too! I love anything with a citrus smell. The carrier oils which are jojoba, sesame, almond and vit e would be good for my skin too! I’ve liked their FB page. thanks for the $10 off tip! would help to save up on such a spending season. I’m interested in the Suki Exfoliating Foaming Cleanser. I’m always on a lookout for a good exfoliating cleanser, it’s never too late to start on prevention of early aging, also being a mother of a toddler and mom-to-be 2nd time means I would need a product which would help maintain my skin, keeping them clogged free and clear when I do not have time to go for monthly or bi-weekly facials. Being a mother doesn’t mean that you have to give up on your looks, it just mean finding alternatives which works for you. btw, I had liked their FB page, and shared this giveaway on FB as well. Though we are in tropical country and there is generally no winter, it has always been dry in December month. I will “Balm Balm Tea Tree Lip Balm Tube” to deal with this problem. Iâ€™ve been using Suki Exfoliating Foaming Cleanser for a year now and I like it a lot. While it exfoliates dead skin cells, it does not dry out my skin. After browsing through Pure Tincture website, the one product I would like to try most is 100% Pure Luminous Primer Vitamins Antioxidants with Resveratrol. Once in awhile I use mineral makeup. Prepping the skin before applying foundation is important because a primer can help even out complexion and prolong the wear of the foundation. I finally found an all natural primer. The primer is filled with antioxidants and vitamins in fruits. Another plus is that the brand 100% Pure only uses fruit and vegetables pigments rather than synthetic dyes. Another product I would like to try is the Soap & Paper Factory Solid Perfume Bella. I have never tried an all natural perfume that is not in liquid form. There are only 3 ingredients for the product- jojoba oil, beeswax, and fragrance free from parabens, dyes, and additives. The perfume is handmade and comes in a jar. I checked the pure tincture website and all look pretty nice. I wish there would be an online site like it in my country. From the brands they sell I’ve only tried the lip balms from balm balm. I purchased on a trip I made to the UK. The weather was very cold so it was a pretty helpful. I liked alot. About the other brands sounds all so good, I’ve heard about brands like madara and suki. I would really want to give them a try, specially the suki line for adult acne with aging, since I’ve been dealing with that problem on and off for a couple of years. It seems a liitle pricey for my budget, but since I’ve read good reviews on that I would be willing to try, and if it suites me well I wouldn’t mind spending more than I usually do. Also the makeup line looks very nice. I would like to try the 100% Pure Healthy Skin Foundation With Super Fruits SPF 20, the 100% Pure Healthy Flawless Skin Foundation Powder and the 100% Pure Fruit Pigmented Pot Rouge Blush, specially this last one since it’s very hard to find creamy blushes that won’t clogg pores. I’m not sure if this one can suit acne prone skin, but It would be nice if it’s suitable because creamy blush leaves very nice and natural finish! Great items and brands you are including in these giveaways! so far I have tried some organic /chemical free cleanser, shampoos and conditioner, I have yet tried the Exfoliating Foaming Cleanser. If I’m going to part with my hard-earned money and get something from Pure Tincture, I would go for one of their sample packs, either the Acne/Oily skin one or the Normal/Combination skin one — unfortunately, they are both out of stock at the moment!! I’m a firm believer of trying samples first whenever possible, and the good thing about Pure Tincture is that they combine different brands in their sample packs, so the user doesn’t get to experience just one brand — cool! I also like the fact that they emphasise “non-comedogenic” in their philosophy cos that is a major requirement for me when I choose skincare products. And oh, their hampers gave me great ideas for what to give for Mother’s Day and when friends have newborn babies — wholesome and useful products! Thumbs up for this category!! The product that caught my eye is Suki Bio C 10% Formula Face Serum Best Anti-Aging Serum for Sensitive skin as it will definitely make my skin firmer, smoother and wrinkles free. Also, it is the Bazaar Beauty Awards 2011 Winner. I have not purchased from Pure Tincture. I’m always interested in getting a cleanser that can exfoliate at the same time, but those that I’ve tried so far are not foaming. 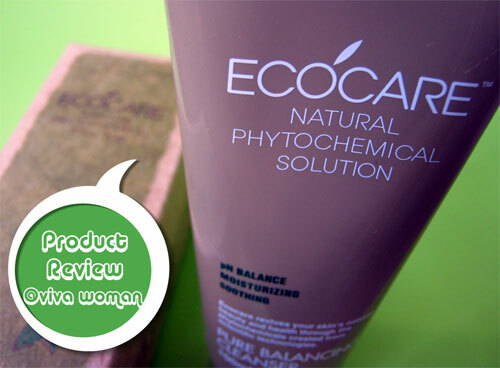 When I saw that Suki has this Exfoliating Foaming Cleanser, it really piqued my interest. It’s too bad that the Exfoliating Foaming Cleanser to-go is currently out of stock, otherwise I’d go get 1 to try it out before getting the full sized jar. I’ll probably try the Snowberry eye serum as I saw that it’s included as one of your daily care. I’m always looking out for a good eye serum as I’m starting to see some fine lines appearing. I’ve just liked Pure Tincture’s Facebook, and with the $10 of $50 min, I’d probably go get an item to try out. I really want to try the “MADARA HAIR Nourish & Repair” shampoo and conditioner. I’ve always had short/medium length hair, and now that I have long hair, it’s becoming hard to maintain. My hair gets frizzy sometimes and the ends are very dry. The conditioner has won the award for best hair repair from Harper’s Bazaar so that was what caught my eye. Definitely wouldn’t mind giving it a try! Definetly the MADARA Nourish & Repair hair shampoo and conditioner . My hair is dry and definitely needs a little extra love and it seems promising. I also would love to try out the 100% Pure Fruit Pigmented Pot Rouge Blush Ballerina. Its such a beautiful color and I love Pot Rouges. I had read sometime back about Suki on your site and as far as I remember, you had liked the product quite well though I don’t remember which product you talked about in particular but probably the one you had mentioned above!!! The name itself made me a little curious about the brand when I first came across it. suki brightening intensive masque looks amazing!! i have uneven skin tone! i seriously think i need this! I am so into brightening of the face since I am already getting old so I want to try the suki Targeted Bio-Brightening Face Serum. I love the fact that it brightens the face. And besides, I would like a littlew help in lessening the appearance of hyper-pigmentation on my skin. I would like to try the suki bio facial peel which cost sgd $150! I’m using their exfoliating cleanser and balancing toner which I love it! I would love trying suki Intensive Brightening Masque ! Ill need an effective soothing mask like this to sooth and rejuvenate my tired skin and hope it works magic on my beauty woes such as fine lines and dull and dry skin with spots. Best of all, i am very happy to know that my it even tone my skin without the bleaching which damages my skin. The Sukicolor Luscious Lips Berry Cream Trio is definitely tempting 🙂 It looks really pretty and I’ve always heard good things about the brand! The Suki Exfoliating Foaming Cleanser with organic lemongrass & natural sugar sounds amazing! Ah, they carry solid perfumes. I would just love to try them all, and judging by the names I would want to own at least half of them. PS Have you seen the Nostalgia Happy Days soap? It’s one of the prettiest, cutest, well-designed product packaging I have ever seen! I’ll have to be honest; The exfoliating foaming cleanser here seems to be the best buy to me. I’m not big on cleansers, as they sometimes seem to do worse for my skin. Their products are a bit on the pricey side, which I can’t afford. However all the ingredients sound so luminous. Should I have success with this one, I would then further consider their other products . I heard from my sister that we can make our own exfolitator using sugar and rice powder… I saw that those two ingredients are listed first two (i.e. largest quantity) as Sukin Exfolitator Foaming Cleanser, I thought it’d be too much work to make my own exfolitator, so would really love to try this product! Ive never trued suki or ordered from pure tincture. The Suki Tinted Active Moisturiser SPF15 for me sounds most tempting. Besides the active ingredient of titanium oxide to block the rays, it also has grape seed oil and jojoba seed oil which will help with anti-aging and fight free radicals. I will consider Pure Tincture when I’m re-stocking on my skincare products next. You can bet Pure Tincture is a must-visit on my next trip to Singapore! The one item that I will be most willing and tempted to buy is the suki Pure Facial Moisture – Balancing as I have not been able to find a moisturiser suitable for my sensitive skin that is able to hydrate and protect my skin as will as soothe it. The Suki Balancing Day Lotion promises to be greaseless and light, which will be wonderful in our humid weather~! In addition, it is able to hydrate and treat the underlying cause of acne & blemishing and help to reduce all the redness around my oilier T-zones! OK– the owner of one of the blogs I frequent (minimalistbeauty.com) RAVES about suki products. I am not sure if they are availible in my country (USA) but I’d love to try the vitamin C serum on my oily/combo skin. I keep reading about the amazing benefits about vitamin C and it has caught my interest! If my current MVO lightening duo doesn’t work, I’ll definitely try Suki Targeted Bio-Brightening Face Serum next–anyway, the amount of pocket damage is almost the same, lol. Am so really very keen to find my HG skin brightening serum/product that’ll help me permanently manage my sallow skin tone. Next product on my list would be the Suki Intensive Brightening Masque. Same reason as above. I’m desperate and I’ve spent a lot on lasers/IPL before so I think I’ve become fearless when it comes to spending on brightening products. I’m currently very happy with Skin Apotheke’s Rejuvenating Eye Creme–but if ever I’ll be tempted to try another eye product, it’ll be Suki Eye Repair Balm. My under eye area sure needs a bit of plumping. Next would be Suki Tinted Moisturizer –wondering how it’ll compare to the MVO Anti-Aging Serum which I’m currently still loving but am still not so happy with the tint. No tint/Extra Light Tint makes me look too pale while Light Tint makes me quite dark. Only problem is that it seems Suki only has 2 tints! So I might face the same problem again. Oh, Reserveage Collagen Booster also caught my eye–I believe in beauty supplements so am always keen to find out about new nutricosmetic brands, especially those that are deemed more natural alternatives. I would buy Suki Best Seller’s Nourishing Kit for Christmas! A complete set with exfoliating foaming cleanser, nourishing toner and intensive nourishing cream. I think my friend will be over-thrilled to receive the gift for Christmas! Oops still much Christmas shopping to do. Noted this product down! I have $10 off because I read this page! Happy.